The Pitigliano-Jerusalem Cultural Programme has been organised and promoted by the Diocese of Pitigliano-Sovana-Orbetello, based in Pitigliano (Grosseto), Piazza Fortezza Orsini, n. 25, by the Bishop His Excellence Monsignor Guglielmo Borghetti and entrusted for its realisation – as regards competency – to the Director of the Cultural Heritage of the Diocese. The project has been planned in cooperation with the Association «La Piccola Gerusalemme» based in Pitigliano and the Association Italia-Israele. 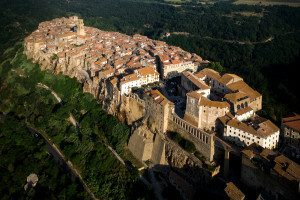 The project intends to develop certain aspects of Pitigliano – world-famous under the name of «The Little Jerusalem» – and its surrounding area, along with its social network; to promote local culture and history together with the diocesan territory; to establish a contact, hopefully permanent, between Pitigliano and Jerusalem, based on age-old relations, fruit of the coexistence and cooperation between the members of the lay community and the Christian Catholic and Jewish religious communities. In Pitigliano, a true «city of refuge» for the Jews (aré miqlat), profound and genuine conditions of respect, peaceful coexistence and reciprocal tolerance between the Jewish and the Christian population already existed in the 16th century, one of the reasons why the town came to be known as «Little Jerusalem» from the 19th century onwards. 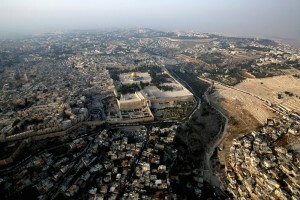 The Jewish community contributed greatly to the development and growth of the town and local district, and was profoundly integrated with the Christian community. The first episode historically significant integration, occurred at the end of the 18th century. After several anti-Jewish episodes, with a victim in 1799, is remembered by the press that «the population, led by a group of Catholic priests, carried out summary justice on a group of soldiers belonging to the organisation “Viva Maria”, whose intentions were to carry out a raid on the ghetto», thus preventing retaliation against and abuse of citizens of Jewish religion. During the 2nd World War the Jewish citizens scattered throughout the countryside, where, despite unending searches for them, they were able to depend on a widespread network of solidarity and also distinguished themselves for their support and assistance of the Christian citizens of Pitigliano, including the Bishop and the churches. In 2002 the State of Israel conferred the highest honour of the title «The Just Among Nations» to several of Pitigliano’s citizens. The Cultural Project Pitigliano-Jerusalem, along with all related initiatives specifically declared, has solely a cultural, social and promotional purpose, as well as professional and human. The project, as a whole, as in each of its parts, excludes any political or reference purpose.